Christmas #CRAFTfest 2017 is back! If you've not heard of #Craftfest then where have you been hiding?? CRAFTfest is a fabulous Online Fair and Community Networking event that has been taking place since 2010. Come along and support handmade! Come and support talented artists and check out the beautiful handcrafted items for sale! If you've missed our earlier Blogs this week then you've not yet seen the amazing sellers with a stall at the 2017 Christmas #Craftfest. You can catch up on all Blogs here. We have a wide range of talented artists and handicraft experts all selling their wares at the greatest virtual craft fayre! Below are just a few of the super talent you can expect to see! Come and join us and get your Christmas shopping done from the sofa! We have a wide range of talented artists and handicraft experts all selling their wares at the greatest virtual craft fayre! Sit back, relax and do some shopping from the sofa! 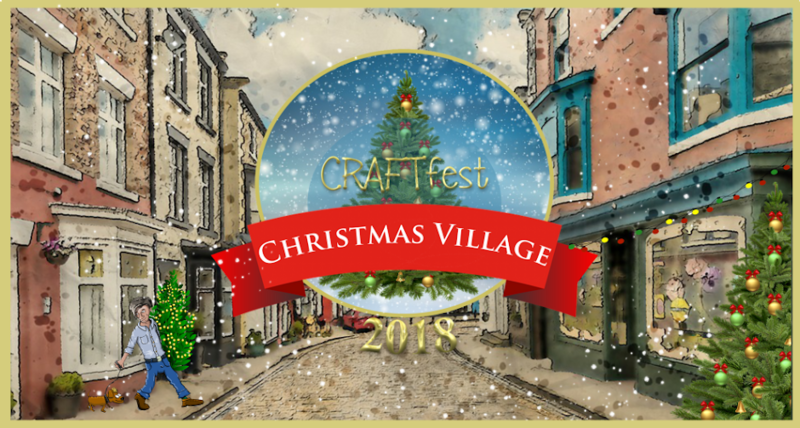 Christmas 2017 #CRAFTfest is back! CRAFTfest is a fabulous Online Fair and Community Networking event that has been taking place since 2010 and this December we are back bigger and better than ever! We have lots of incredible and talented sellers taking part this year. Why not check them out? Why not come and join us at #CRAFTfest and support handmade!